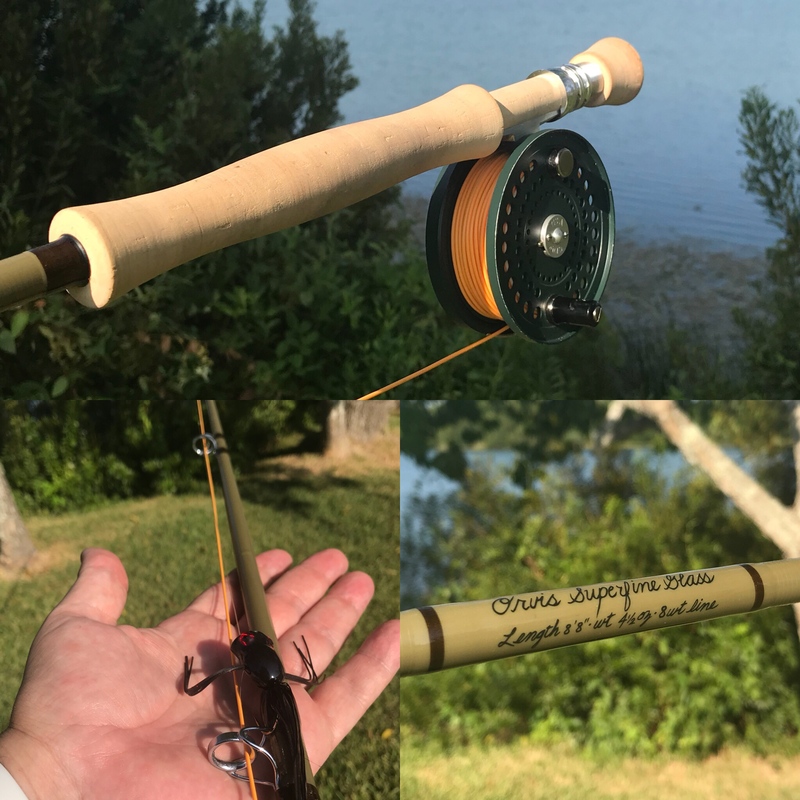 Before getting my hands on my rod (after multiple manufacturing delays) I could literally find no information online about the SFG 888-4 (yes, four piece). No reviews, photos, no Tom Rosenbauer talking about how awesome it is video, no IFTD coverage, nada. I thought that I would share my thoughts and observations on it, and would love to hear the opinion of others who cast it. The first thing that I noticed when I picked it up at Orvis Houston is the tube was too short! This rod is in fact a four piece unlike all other SFG’s. There is no mention of this on Orvis’ website. This makes me happy as I like breaking rigged rods in half to stow in the boat or SUV ceiling when going from spot to spot. It will also fit in my standard travel case. It is not too heavy for a glass 8wt at 4 1/2oz, and doesn’t feel like you’re swinging around a CB radio antenna. With my CFO V mounted the fulcrum point is 1/2” in front of the cork, so perceived weight immediately is decreased. I threw on a Hydros SL IV and it balances even better. As you can see in the photo below blank diameter is not extremely different from that of the 6wt SFG, just the amount that you would expect in a two line weight increase. Handle length and diameter of handle components are identical. Where the 8wt varies greatly from the 6 is in the guides. The chrome Mildrum style strippers (there are two) are much larger than the one on the 6 as can be seen below. I can almost fit my pinky in the larger one. They appear proportional to the blank. Orvis chose to use a large loop tip. When I received my SFG 6wt there were craftsmanship and quality control issues. The label was applied directly to an unsanded blank (air under label), threads were not burnished, and the flex coat over the label was wavy with bubbles. Orvis fixed most of the issues, but it made me worry that their standards had decreased. This rod has proven to me that they have not. The flor grade cork is amazing. The only filler used is on little spots, not long flaws. The details of the build are meticulous. As a rod builder and craftsman myself I can find zero flaws. Other than weight, the action is different than other SFG’s. I consider the whole line to be fast glass, but the 8wt is less “full flex” than the lighter rods. I attached a Go Pro to the grip to look at flex. There is no flex visible during the cast until after the first stripper, and little until after the second when casting a 225 grain line with a bass popper. To me this translates into lifting power and line control when fighting a fish. I was surprised and impressed with the distance that I could get out of it with a standard weight line. I was fishing around heavy weeds and had zero difficulty putting my popper exactly where I wanted it. Wind was at my back at 12mph and I had no difficulty getting the line speed needed to lay out my back cast even with the popper. Tomorrow morning I will be putting on a clouser minnow and heading to fish the beach. We will see how that goes, but so far I’m digging it! Keep up the reports. 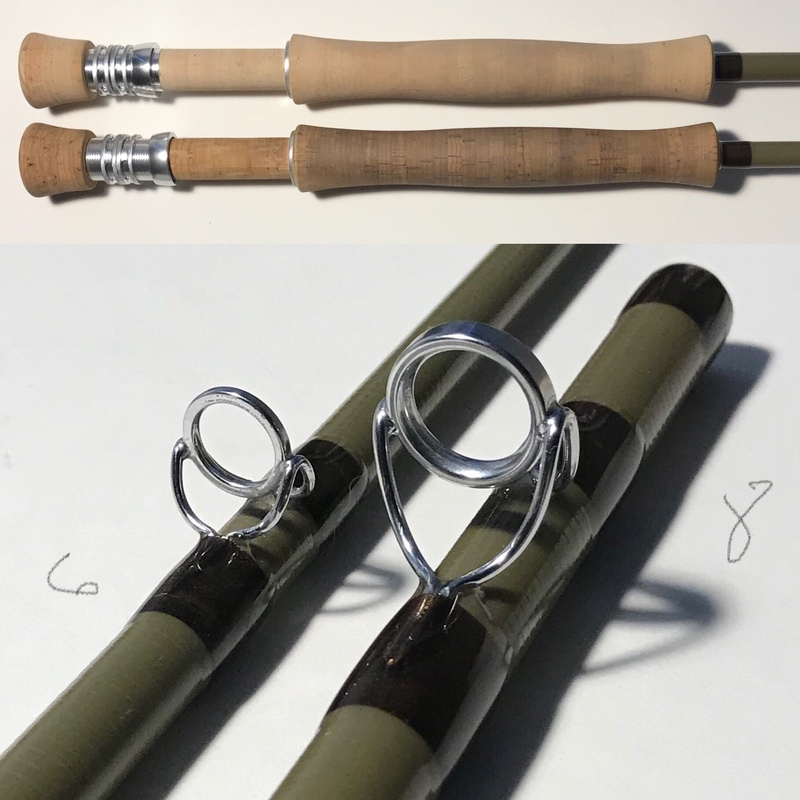 The casting the lighter rods in the series seems to show great potential in that taper for a big, powerful but still light 7-8 wt. The glass answer to the rods which graphite does pretty well. I had it out early this morning hoping to get a nice redfish on it, but no takers. Obviously 4 hours of nonstop blind casting is a bit more tiring with this outfit than with my Helios, but it’s not unbearable. The rod (with Rio Smallmouth 8wt) has more than enough power to throw a 1/0 Clouser. I have a SA Bonefish 8wt (15 grains lighter and less front heavy than the Rio) on another reel, so I’m going to put that on for comparison’s sake and try for some alligator gar around the lights in my harbor after sundown. Hope to test that lifting power! Ive seen 5 footers hanging around.